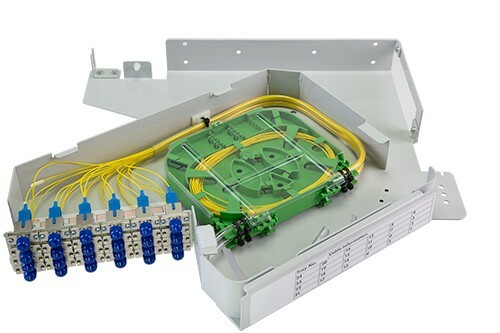 The WREN Fibre management solution for 19” and ETSI rack and cross-connect applications is specifically modular by design with front or rear back plate mounting options,for ultimate installation flexibility. 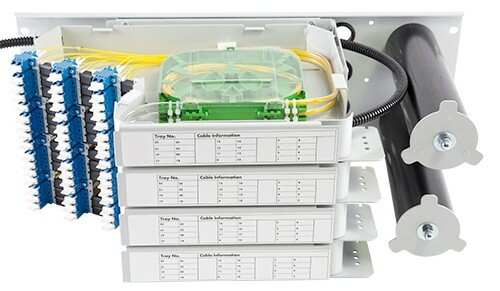 The range is available in 1U, 4U, 6U back or front mounting pivoting optical sub unit modules with integral adaptor mount, splice and cable management which make this solution ideal for legacy or new fibre installations that require convenience, flexibility, ease of installation and performance. 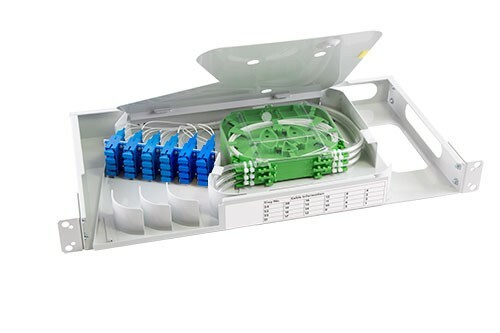 The 1U Rear Mount Patch Panel utilises a pivoting tray design and is ideally suited for 19” or ETSI racks (other rack types can be catered for by request). It requires rear or front mounting back plates. 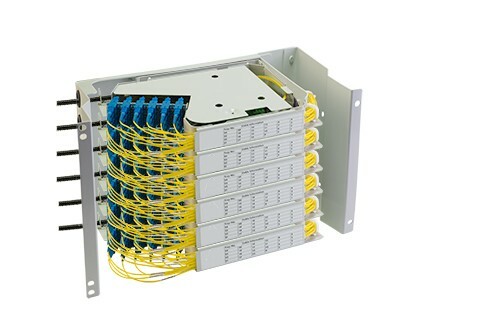 When used in multiple units and with optional patch cord mandrels fitted to one side of the trays, and mounted on various 4U or 6U rear or front mounting back plates, it forms part of the Optical Distribution Frame system. It takes various connector types via interchangeable bulkheads, including LC, SC, E-2000, FC and ST. The 1U Fibre Craft Tray is for a pivoting optical sub-rack front or rear 19” and ETSI rack (other rack types can be catered for by request). It takes various connector types via interchangeable bulkheads, including LC, SC, E-2000, FC and ST. It is particularly suited for restricted rack space applications, whilst providing many of the fibre management features found in our Optical Distribution Frames.